for logopæder. For at tilgodese så mange som muligt, holder vi samme workshop i Jelling og i Hellerup. Vedr. 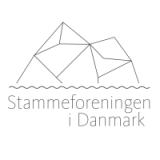 tilmelding: Karen Thorsen, fsd@fsd.dk. evidence base for this approach will be summarised. completed a Research Masters in Human Communication Disorders at University College London in 2016.